AMAZING NAME AND KEY TATTOO. Key and Lock Tattoos – Key and lock tattoos are unique in their meaning and very mysterious. A viewer of your body art may wonder what is so valuable one must keep it under lock and key. It can represent freedom after a time in time in your life when you’ve felt imprisoned. It could also mean you are unlocking a new chapter in your life. 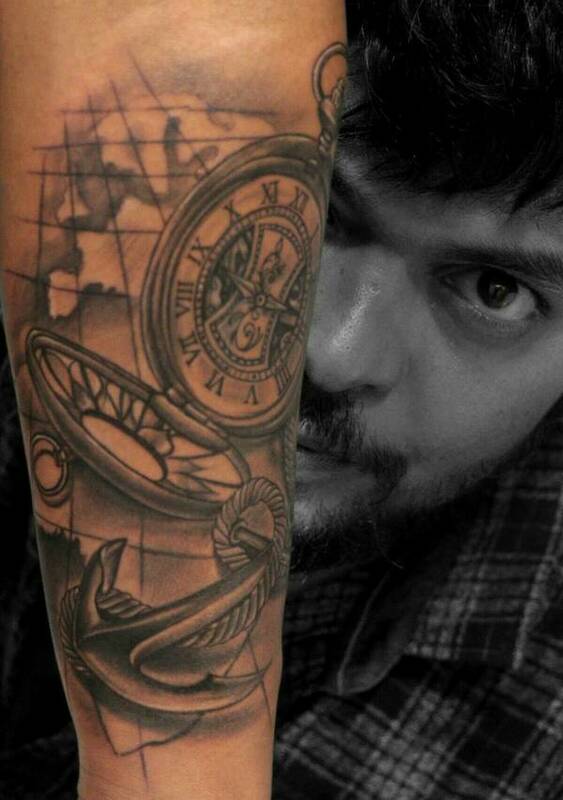 Most often very old keys and locks are used in key tattoos because of their style. Their unique looking designs and craftsmanship can’t be found in modern looking keys and locks. 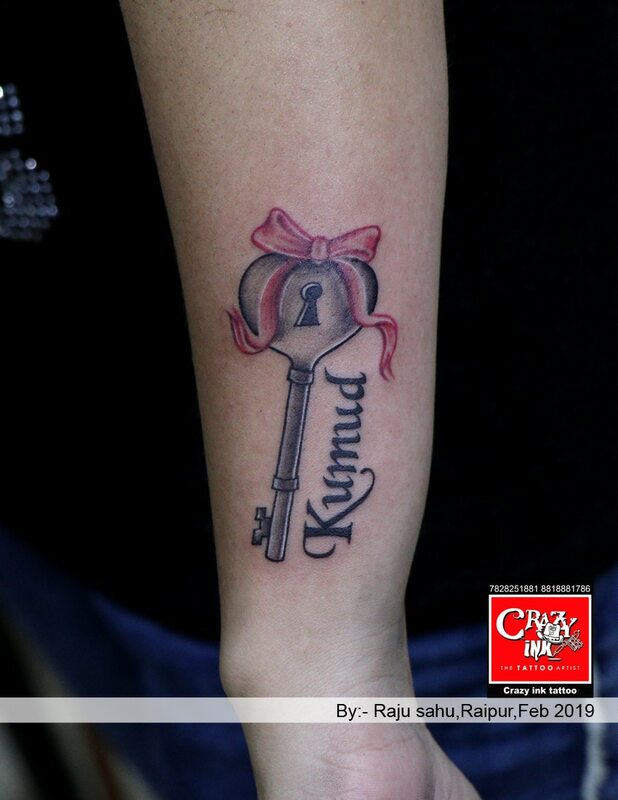 KEY TATTOO, NAME TATTOO, GIRL TATTOO, TATTOO ARTIST, TATTOO IDEA, BOW TATTOO, SMALL TATTOO, CUSTOM TATTOO, CONCEPT TATTTOO, TATTOO ARTIST RAIPUR, TATTOO ARTIST INDIA.